Residents at Seasons of Traverse Mountain talk about their favorite things in Lehi and at the apartments. I love the complex and the location, it feels like I’m 15/20 min away from all big cities like Provo, Orem, South Jordan and sandy, and that works really good for me! there’s a lot of food, shopping, and supermarkets near so that’s a plus. I only had problems with maintenance being a little late, maybe 1 or 2 days later than scheduled but other than that, everything is pretty great. just be prepared that this place is really really windy. Staff are super friendly and always willing help when a concern comes up. The apartment is up to date and feels very welcoming. Overall, it’s been a great place to live. Great views! Especially love the views of the mountains. Nice walking trails. Moved here from Arkansas and the low humidity is great, too. Nice, friendly staff and the apartments are very nice. I recently relocated to Utah due to my job. I was hesitant on even viewing this place due to all the negative reviews but am glad that I did. I could not be happier with my choice in living at Seasons. The Apts are very quiet and I have yet to hear my neighbors. I’m near the pool and can only hear people talking or kids screaming if I have my windows open. It does get a little dusty due to all the construction that’s going on around the Apts but other than that I have no complaints! There are multiple playgrounds for my son, close to his new school, restaurants, and shopping. We love it here! We have lived here for over 2 months now and just love it. The location is amazing. Apartments here are very new and luxurious. It’s been a year since we moved and we love the place. Good view of the lake and the mountains. The apartment complex is maintained very well and good amenities, including garbage disposal at door step. The staff is friendly and any maintenance is attended immediately. Easy rental process. Helpful Staff. Lovely Apartments and amenities. I would recommend Seasons’ to others who are looking for a great place to live. The office staff is extremely helpful in setting up the initial apartment agreement. Their helpfulness continues afterwards. 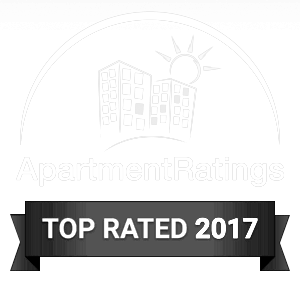 The apartment was clean and well kept and there is plenty of available parking. It’s a great place to live. The apartments are so nice, and the price is similar to many apartments that aren’t as good. The office staff is so helpful every time we have a question or need something done. I recommend anyone in the area looking for rent to check these out. We have fallen in love with Seasons of Traverse Mountain! The office employees are SO easy to work with, and we really feel like we are living luxuriously. We love the amenities that the apartments come with and the beautifully designed apartment. I would definitely recommend this place to all of my friends. We moved in a little over a month ago. We have been so pleased with living here. My family as enjoyed living here. The view is beautiful and the apartment is just the right size. We downsized from a seven bedroom house to a three bedroom apartment. It feels quite big and everything fits fine with no feeling of being too small. The maintenance men have been readily available to help with any questions or concerns. I have a special thank you to Nancy, Lindsey and especially Chase. He is such a great asset and always helps even with my goofy questions. He even helped my husband fix his windshield wipers. The grounds are so pretty and I cant wait until summer to go swimming. When my grandchildren come to visit, they will have plenty of play areas to play in. The amenities are all here, all you need to do is use them. I highly recommend living here. It very quiet, neighbors are very friendly. I cant hear any other neighbors around me. Another personal thank you to Chase for his help, he is such a sweetheart. Thank you Charlene Gifford. This community has been a positive experience all around! From the beginning Taylor in the office was incredibly helpful and patient with all of my questions (trust me, there were many!). When it came time to sign the lease there were no surprise costs and everything was made very clear. Move-in was a breeze and we have had no problems since. We did have an issue with our dryer when we moved in and they were very prompt in fixing it. The walls aren’t thin and the most I ever hear from my neighbors is footsteps from above. The valet trash is awesome! There is always plenty of parking. I really don’t have a bad thing to say! I’ve been living here for about one and half months and I love it! The apartments are beautiful with great appliances. Amenities are great and the door side trash valet pick up makes everything just a little bit easier. The office staff is always positive and ready to help and handle anything. The maintenance staff are very helpful and any problem is fixed very quickly. The apartment plan is really nice and having a wifi for entire community is definitely a plus point. We moved here while we were waiting for our house to be finished. My kids love the amenities and all the playgrounds that are here. We feel like we have been on a fun vacation! The trash service is also a big plus! The office staff has always been awesome to us! I’ve been living here for about two months and I am very impressed. Staff is nice to work with. Rent wasn’t egregious. The amenities are clean, and fun to use. The location is just the right distance up the south facing slope of traverse mountain to stay quiet from the highway and new shops being built all around north Lehi. Valet trash was convenient. Shared, complex-wide Wi-Fi is pretty good, but I opted to upgrade to a private bandwidth. Access to some nice evening hiking was a big plus, although it seems like some new developments (same property?) Are slowly starting to climb traverse mountain behind the complex. Moved in a month ago, this is the nicest, quietest community I have ever lived at. Everything was new with modern appliances and decor. The state of the art club house is amazing offering gym, pool table, pool and spa. The view overlooking the Lehi valley is breathtaking. I absolutely love this place and recommend it to anyone I know looking for a resort style apartment experience. Apartment living at its finest! My wife and I are currently one month into our 13 month lease and we love it! These are some of the nicest apartments in Utah county and are in a great location. The views of the Utah valley/Utah lake are awesome and to the north traverse mountain. The apartments are located 2 min from the outlets, cabelas, Harmon’s, and many restaurants. Also only 10 min from American fork and 25-30 min from SLC. All of our neighbors are very respectful and we never hear them from our apartment. The pool and spa are very nice as well as the gas grills located in the pool yard. There is also a nice clubhouse and a movie theater that are available for the residents and their guests that can also be reserved. The seasons of traverse mountain staff is just as amazing as the apartments! They are always helpful in any way they can be and quite often have something fun going on for the residents. We showed our friends this place and already one of them has signed a lease and others are really wanting to. All in all I give seasons of traverse mountain apartments a five star review because it is simply worthy of it! We looked at every apartment available in Utah county and this place is by far the nicest and surprisingly has most other places beat on rent prices.